Sheriff: "We didn't have enough where we could go arrest him"
(CNN) -- Olympic swimming champion Michael Phelps will not face criminal charges in connection with a November party at which he was photographed using a bong, a South Carolina sheriff said Monday. Michael Phelps admitted "regrettable behavior" after a photo of him using a bong was published. "We do not believe we have enough evidence to prosecute anyone" who was at the party in Columbia, South Carolina, Richland County Sheriff Leon Lott told reporters, adding that authorities are ending their investigation into Phelps. "We had a photo, and we had him saying he was sorry for his inappropriate behavior," Lott said. "That behavior could have been going to a party. ... He never said, 'I smoked marijuana.' He never confessed to that. We didn't have physical evidence. We didn't have enough where we could go arrest him." A bong is a device commonly used to smoke marijuana. University police and Columbia police both said they would not pursue charges against Phelps. Lott said he has not spoken to Phelps, but hopes the swimming champion has learned from his mistakes and is willing to share an anti-drug message with children. Phelps said Monday he had learned some "important lessons" from the incident. "I'm glad this matter is put to rest," he said in a written statement. "But there are also some important lessons that I've learned. For me, it's all about recognizing that I used bad judgment and it's a mistake I won't make again. For young people especially -- be careful about the decisions you make. One bad decision can really hurt you and the people you care about. Phelps told CNN affiliate WBAL in Baltimore, Maryland, "This is something that I need to learn from, will learn from and have learned from." 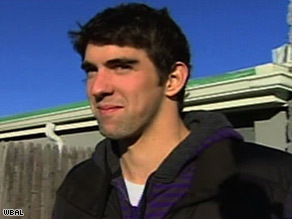 "I know that a lot of people make mistakes, and the best way to learn from them is changing things," Phelps told WBAL. Lott said the photo that surfaced of Phelps put him and his department in a "no-win situation." If he had ignored it, he said, he would have faced criticism, but he also was criticized for investigating. However, he said, the photo did initiate an investigation into goings-on at the home where the party took place, and some people were arrested on suspicion of drug possession. The home has been the focus of previous drug-related investigations, he said. He defended his investigation, saying, "As a cop, my responsibility is to enforce the law, not to create it or ignore it. Marijuana in the state of South Carolina is illegal."